As we mentioned when Casio’s G’zOne handset [.jpg image] launched here in May 2005 “This could be a design winner should it land on US shores in time for the Christmas shopping rush”. While it took a bit much longer, we just noticed they have rolled-out an amusing interactive flash website, touting the rugged nature of what should be a great Japanese handset for the U.S market. 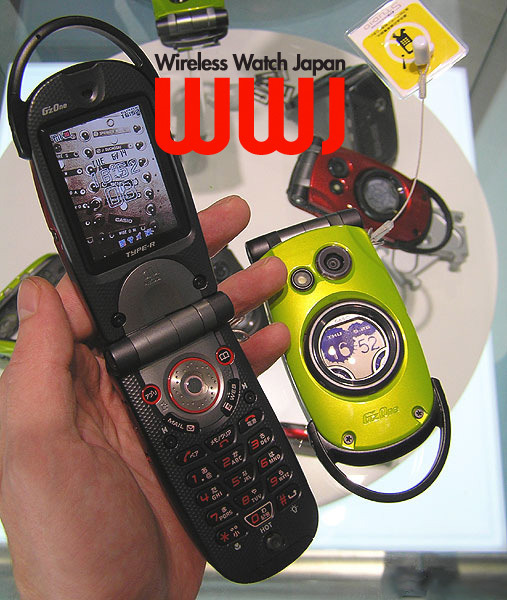 The FFC approved Casio’s GzOne model, dubbed the NX9200, in March 2006, the American version added EV-DO high-speed data and a stub antenna. The G’zOne shipped to Korea in December 2005, around the same time reports surfaced of the company trying to enter the U.S. market.